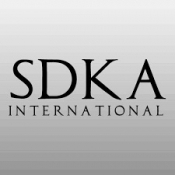 The SDKA Dual Asset Product combines gold bullion and Ven into a single investment, providing the security of gold with the stability of Ven in one. This fixed price asset includes a Ven marquee 1 oz. gold coin .9999 plus a 2,000 unit Ven currency allocation, physical storage and insurance in one product. Get the upside potential of holding physical gold with the volatility protection associated with Ven. Physical delivery available at additional cost. Physical gold storage is located with SDKA in Dubai or New York with Brinks, with the Ven allocation held with SDKA in a secure online vault powered by OMS at Hub Culture. External and internal controls are in place to provide investor confidence about the suitability of the underlying asset classes in Ven and gold in which this fund is soley invested. Custodian Bank responsible for the safekeeping of Cash and Fund Assets including subscription and redemption monies. Limited exposure to single technology, entertainment and media sources. THIS MODULE IS OFFERING INFORMATION ABOUT THE SDKA DUAL ASSET PRODUCT FOR INFORMATION PURPOSES ONLY. PURCHASE OF THE MODULE GRANTS MEMBERSHIP ACCESS TO THE SDKA GROUP, BY WHICH ANY FUTURE DIVIDENDS INTEREST OR PRINCIPAL REPAYMENT ARE DISTRIBUTED IN VEN. THIS MODULEÂ IS NOT AN ADVERTISEMENT AND THE INFORMATION CONTAINED HEREIN DOES NOT CONSTITUTE INVESTMENT ADVICE, AN OFFER TO SELL, OR THE SOLICITATION OF ANY OFFER, TO BUY ANY SECURITIES AND OR DERIVATIVES AND MAY NOT BE REPRODUCED, DISTRIBUTED OR PUBLISHED BY ANY RECIPIENT FOR ANY PURPOSE. IT IS NOT DIRECTED AT OR INTENDED FOR DISTRIBUTION TO OR USE BY ANY PERSON OR ENTITY IN ANY JURISDICTION WHERE SUCH DISTRIBUTION, PUBLICATION OR USE WOULD BE CONTRARY TO APPLICABLE LAW OR REGULATION. THE INFORMATION PROVIDED SHOULD BE READ IN CONJUNCTION WITH THE FUND PROSPECTUS WHICH CAN BE OBTAINED FROM HUB CULTURE. Â YOUR ARE STRONGLY RECOMMENDED TO CONSULT WITH YOUR PROFESSIONAL ADVISER REGARDING THE SUITABILITY OF ANY STAKE PURCHASES DESCRIBED HEREIN. THE VALUE OF YOUR INVESTMENT MAY FALL AS WELL AS RISE AND IS NOT GUARANTEED, ESPECIALLY GIVEN THE VOLATILE NATURE OF INVESTED ASSETS. PAST PERFORMANCE IS NOT AN INDICATOR OF FUTURE PERFORMANCE. CHANGES IN EXCHANGE RATES MAY CAUSE THE VALUE OF INVESTMENTS TO GO DOWN OR UP.